We can send you a brochure with driving directions and a map. You'll need this. Don't try to find this place without it! Gravity Hill isn't the only thing to do in Bedford County. We can send you a complete visitor info pack for your trip. Call us at (800) 765-3331 to receive a free copy of the Gravity Hill brochure ... or, for inspirational testimonyy, directions and more, click away, gallant soul. 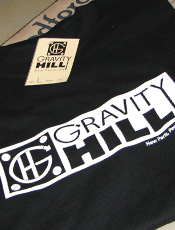 People come from all over to experience Gravity Hill. 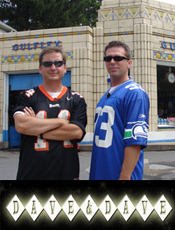 Gravity Hill was featured on PBS's Dave and Dave show in 2008. Click HERE to read more. 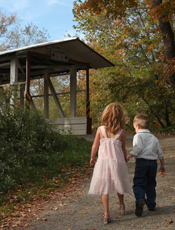 As long as you are coming to see Gravity Hill, you may as well check out the rest of the county. It's what you need to show the whole world, "Been there, done that!" Order here, or drop by the Bedford County Visitors Bureau in downtown Bedford. 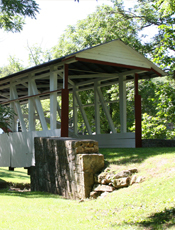 If you want to do more than just Gravity Hill, take this excellent 90 minute driving tour of the Covered Bridges and Gravity HIll. 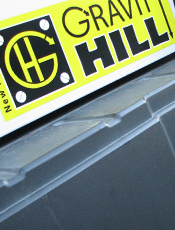 01.Check your rearview mirror before doing the hill backwards. 02.Never turn around in the "local's" yards. 03. Wave and smile when folks pass by. 04. Let folks by if they're trying to get past you. The Bedford County Visitors Guide is the mother lode of info about the area around Gravity Hill. 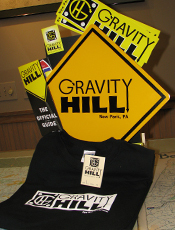 When you call for your Gravity Hill Brochure, ask for it by name.